Your business card is the immediate representation of your business image and the attitude towards you and your business so if you are seeking for success and fortune in your career or business, your name card design is an important factor that you must not neglect. The fundamental principle of Feng Shui is about how you use the space and generating the flow. It can be easily applied to creating and designing your business card, so let’s find out how it can be apply. 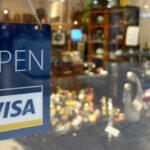 Here are the top 6 Feng Shui tips to use in designing your business cards to attract fortune. 1. It is recommended to avoid using sharp points in the logo because such logos generate negative energy. Never use sharp and pointed element like spears, knives or swords in your logo. 2.One of the most essential elements in Feng Shui good flow and space which means that there should not be any obstruction, for example, there should not be any border around the card as it stop the energy flow. 3. 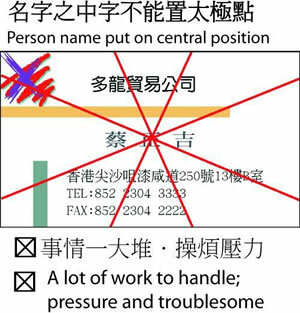 Keep clear of clutter – Just like applying this feng shui concept to home and office, it should also be applied to designing your name card. Always keep your card as clean and concise as possible by removing all redundant information and put only relevant ones. 4. Color does matter – the basic Feng Shui principle of element must be followed so that you will have color that compliment with each other, instead of having conflict . Follow this guide of the 5 elements to choose the background and text color in your card. 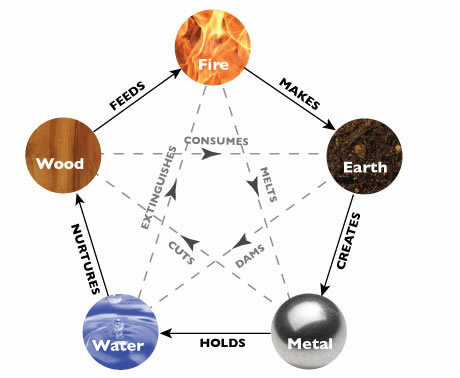 Principle of the 5 conflicting element: Wood conflict Earth, Earth conflict Water, Water conflict Fire, Fire conflict Metal, Metal conflict Wood. 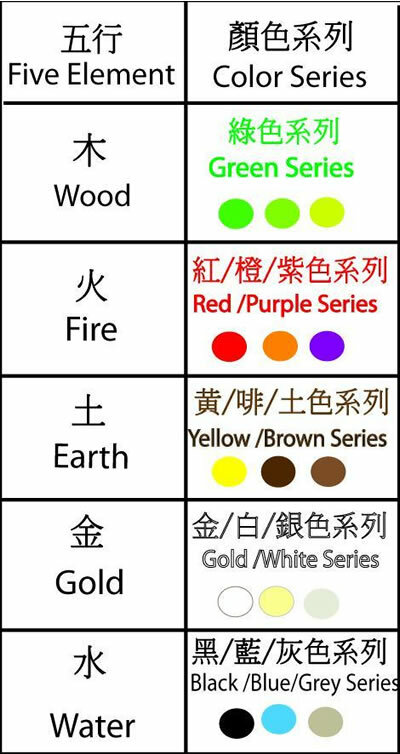 Which elements does the color belongs to? 5. Name should not be placed in the center of the card because it cause stress and pressure to the owner. 6. Order and Placement of your company name and name does matter – The company’s name should always be first and made significant in order to show the strength. Your own name should always come after the business name on a Feng Shui business card. By applying these simple 6 Feng Shui tips when creating your business card, you’ll have not only an awesome looking card you will feel proud and happy to distribute, but also one that can help to bring you luck and wealth too.